The Trust produces a summary report of its activities each year. These reports are intended to advise the organisations responsible for the appointment of Trustees about the Trust’s activities during the calendar year. Copies can be downloaded using the links below. From 2003 to 2012 these are based on calendar years. From 2012/13 each report is for the financial year and includes the Report, Financial Statements and Auditors Report. AWET’s 2017/18 Annual Report is available now. 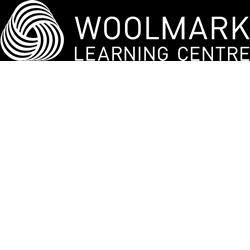 Australian Wool Innovation has developed, in conjunction with Australian teachers, the LEARN ABOUT WOOL website . This flexible and interactive range of resources can be easily incorporated into everyday classroom activities and support the development of students in line with curriculum guidelines across key content areas, including science, history, geography, design and technologies, and business and economics. The WOOL INTRODUCTORY COURSE is a 25 minute course providing high level marketing education. The WOOL APPRECIATION COURSE is a 3-hour course that looks at the fibre from farm to fashion. At completion of this course you can gain your own Wool Appreciation Badge from Credly. This can be displayed on your own digital professional portfolio such as Linkedin! AWI has a produced a large number of VIDEOS PUBLISHED ON YOUTUBE, covering an extensive range of topics. These are excellent resource materials for educators, students, producers and other industry participants. The Livestock Library is an online or virtual library of information supporting Australia’s livestock industries. This resource was developed by the Sheep CRC and the Beef CRC. 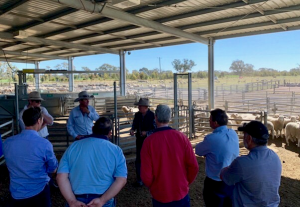 It provides one-stop access to a wide range of Australian research publications, conference proceedings and reports on sheep and cattle research. There are over 24,000 full text documents available through the Livestock Library Research Database. Most of these resources are conference papers or journal articles. The serial titles held by the Livestock Library are complete, starting with the first published issue of every title. In addition, a federated search capability allows users to simultaneously search the websites of all state Departments of Agriculture and Primary Industries, AWI and MLA and the Livestock Library Research Database, providing immediate access to over 60,000 full text publications relating to sheep and beef production. Woolwise provides access to resource material developed using funding provided by the Australian Wool Education Trust, or by the Trust in collaboration with other parties. It is a repository for educational material developed by the Premium Quality Wool Co-operative Research Centre (CRC), which commenced in 1993 and wound up its activities in 2000, for the Wool and Sheep Industry CRC, which commenced in 2001 and wound up in 2008, and for the Australian Wool Textile Training Centre, in 2006 and 2007. Woolwise was originally developed, using funding provided by the then AWTA Ltd Wool Education Trust, to provide an online presence for the Premium Quality Wool CRC while it was operating, but also to provide access to the educational material produced by the CRC. The original website developed by the CRC for Premium Quality Wool has been retained within the current site in order to preserve the history of Woolwise and to acknowledge the people responsible for its creation. The core parties of the Sheep CRC transferred ownership of the educational IP produced by the CRC to AWET in 2008. These materials are now available from AWET via Woolwise subject to specific conditions of use. As a result of this transfer the educational material provided on Woolwise extends beyond wool production, processing and marketing to include other aspects of the sheep industry. such as sheep meat production, genetics and sustainable land management. The Trust has licenced this educational IP to the University of New England (UNE). It is the basis of a number of wool and sheep units delivered by UNE. 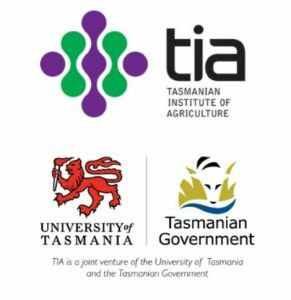 This arrangement is unique for agricultural education in Australia. The courses are offered in external mode to students enrolled in UNE and other Universities within Australia. This “hub and spoke” model for education about wool and sheep recognises that it is difficult for any one University to maintain sufficient student numbers to justify such specialised courses within their Agricultural Science Degrees. • Compensate external Universities for any loss of revenue as a consequence of their students enrolling in the wool courses delivered by UNE. Grants to students in Fashion Schools.